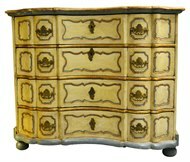 Our classic Serpentine Commodes are also available in a painted finish. 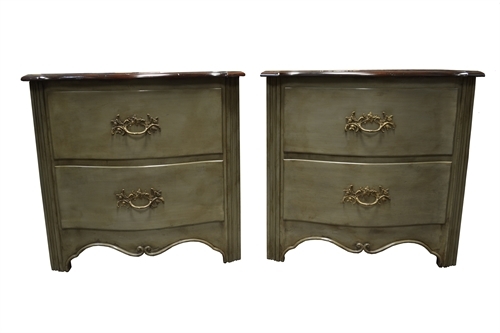 These pieces had distressed, sage green painted bases which were glazed to look old. 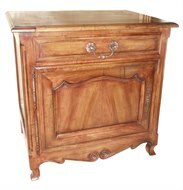 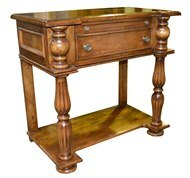 The tops were in a rich mahogany and we can custom make and finish these pieces as needed.